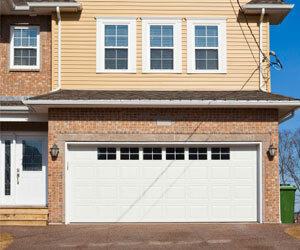 Missing garage insulation causes comfort and energy problems in other parts of the house. Tri-County Insulation & Acoustical Contractors has the cure. Correcting a common mistake. Builders often neglect to insulate the garage ceiling, which can make the living space above expensive to heat and cool.Tri-County Insulation & Acoustical Contractors can solve this problem by blowing dense-pack cellulose insulation into the garage ceiling.The garage is easy to overlook as a place to make energy-saving improvements. After all, the main job description for the average garage is to shelter family vehicles and provide storage space for other items like tools, bicycles and sporting gear. But because builders often neglect to properly insulate different parts of the garage, comfort and energy problems can occur in other parts of your house. Insulating the garage ceiling. 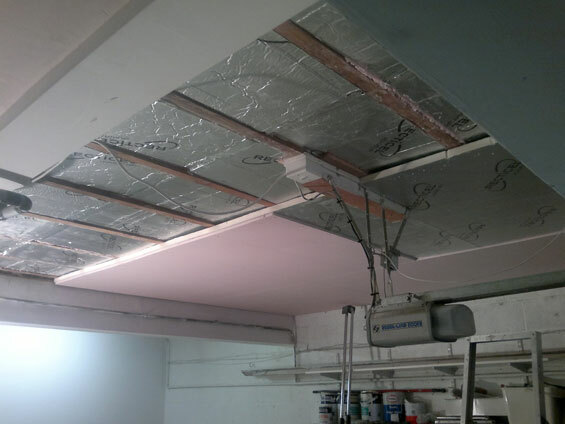 It’s essential to insulate the garage ceiling if there is living space above the garage. Many builders choose to skip this insulating task when a house is built, either to save money or because the space above the garage is initially left unfinished. Without insulation in the floor, living space above the garage will be uncomfortably cold in winter, distressingly hot in summer, and wasting energy nearly all year round. Insulating garage walls. When the garage is attached to the house, the wall that separates the garage from the living space should air-sealed, insulated and finished with fire-rated drywall. An energy technician can check the finished wall for insulation, using an infrared camera or other techniques. If no insulation is detected, it’s sometimes possible to blow new insulation into stud cavities through holes that are bored in the drywall. Even if there is wall insulation, it’s likely that air leakage exists between the spaces. Sealing these leaks is important for energy efficiency and also for protection against carbon monoxide from car exhaust.